You have just been appointed as the youngest Minister of Foreign Affairs in Canada's history. By a happy coincidence, you've just been looking at what Canada does with other countries in your Grade 9 Social Studies course. This has made you well prepared for this exciting government assignment. They want: More aid and troops to keep order and help rebuild. You'll give: The same aid as always and no troops there in the long term. They want: Cleaner oil. The oil from the Alberta oil sands is said to produce more "greenhouse gases" that are bad for the environment. Yet this is where most oil produced in Canada comes from. You'll give them: Not much. The oil we have is the oil we have and we can't do much about it. 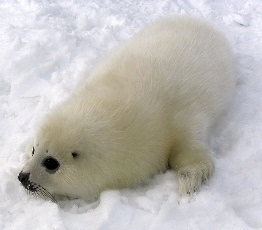 They want: An end to the seal hunt They say it's cruel and barbaric. It's mean to wear fur. You'll give: No change. The seal hunt is part of a way of life for Maritimers and hunting in general is part of the traditional way of life of many Canadians. You believe the seal hunt is humane, and even the Governor General has recently eaten seal meat. They want: Canadian troops continuing to fight in Afghanistan past 2011. You'll give: Only a few hundred troops to help with reconstruction. You say that Canada has "done its share." With your group you are going to research these issues using articles from the newspaper. Each of you should pick one of the above topics and research it. You should use at least five articles to help you understand the position of the other country and Canada's response to that. Take notes on that position, write them up neatly and share them with your group. Be prepared to show the teacher your notes because if you don't participate, you don't get a mark. Well, you do get a mark but the mark is a zero. Write up a speech that one (or more) member of your group will deliver to the class. It should be about five minutes long. Don't forget to acknowledge their differing opinions. Present your speech to the class. You can research this using the Winnipeg Free Press for articles in the past 30 days. and the Winnipeg Free Archives for material that's 90 days or older.